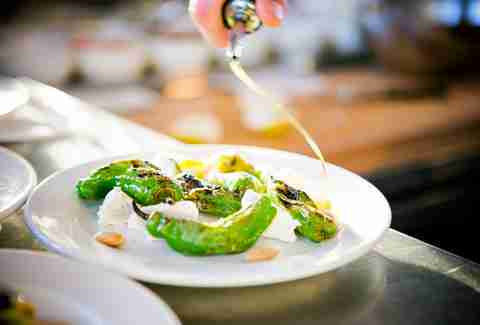 There’s never been a more exciting time to be tracking Pittsburgh’s dining scene. New restaurants are opening all the time in neighborhoods across the city, introducing creative concepts and showcasing seriously talented chefs. With the ever-increasing competition in the market, chefs and owners are stepping up their games in a real way, both in new restaurants and already-established spots. Below, you’ll find the best restaurants to open in Pittsburgh recently, followed by some of the city’s best restaurants overall. While the lager-forward beer list and the Alpine-inspired cocktail menu are top-notch at Lorelei, the food is the star of the show. 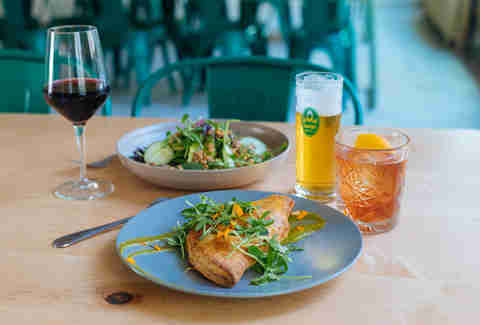 Led by executive chef Jamilka Borges in the kitchen with an assist from pastry chef Dianne DeStefano, the small menu mixes classic beer hall offerings (like a Bavarian pretzel with bacon-kraut cheese spread) with hearty hand pies and savory tarts. Do yourself a favor and save room for something sweet from the dessert menu, where the talented DeStefano shines with plates like malted chocolate mousse, lavender-almond tea cake, and buttermilk custard pie. You’ll find quality breakfast and lunch options -- and yes, pie as well -- at Pie for Breakfast, the third restaurant in Trevett and Sarah Hooper’s Good Faith Restaurant Group. 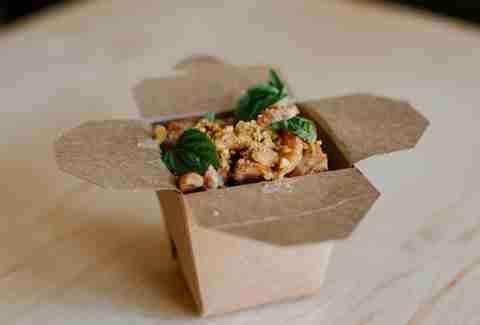 Each dish is made with the same locally-sourced ingredients used at PFB’s sister restaurants Legume and the Butterjoint, but at a much lower price point. The small menu changes regularly with down-home comfort food favorites (the buttermilk pancakes are some of the city’s best), and a new take on Southern-style “meat & three” options. As the name suggests, pie is always on the menu, and a slice of their delicately-flavored vinegar pie is a must. The team behind the popular underground dinner group Duncan Street Dinners have opened their very own brick-and-mortar. The Duncan Street Sandwich Shop serves a small menu of inventive sandwiches, with complex and layered flavor combinations, and daily-changing salads, homemade sides and sweet puffed-rice cereal “Crispies.” We especially love the shop’s “Everything” Pork: a hearty sandwich with roasted pork, “everything” seasoning, and a house-pickled red onion jam. Richard DeShantz Restaurant Group’s second Pittsburgh restaurant to open this year (after Poulet Bleu) is one of the group’s most ambitious projects to date. 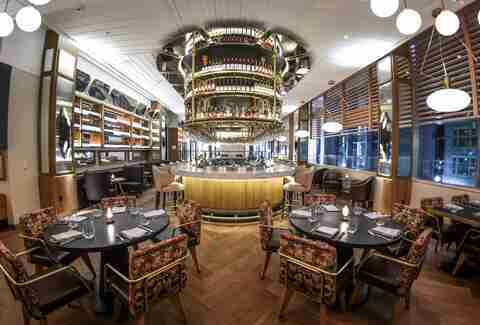 The beautifully-designed space has earned rave reviews for its ultra-inventive modern American dishes, which feature hints of Asian and Italian influences. The cocktail program is phenomenal and specially designed to pair with corresponding dishes. Artisan wholesale bakery Mediterra Bakehouse has opened a stylish café outside of the city, with a menu that showcases the bakery’s beloved fresh-baked breads. Sandwiches on heartland grain, marble rye, and sprouted spelt are available for lunch, along with pizza that’s made with a 96-hour dough, seasonal salad bowls, and cheese and charcuterie boards. The café also houses a small shop area, selling gourmet grocery items. Before opening their brick-and-mortar restaurant in Lawrenceville earlier this year, Driftwood Oven was a mobile pizzeria, rolling around Pittsburgh since 2015, serving up fresh, wood-fired pies topped with ingredients that are sourced from local farms and change with the season. They’re doing the same thing now, just in a more permanent location. 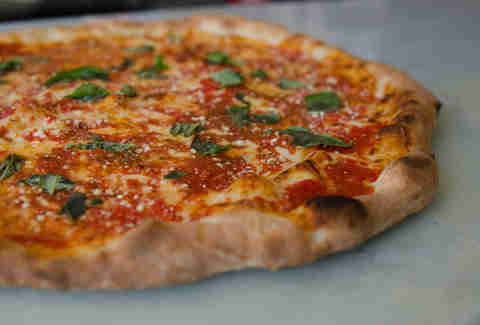 All the pizza from Driftwood starts the same way: with, well, a starter. The bread and pizza doughs produced from Neil Blazin and Justin Vetter’s mobile pizza unite are all hand-mixed with organic flours and a sourdough culture, which makes the dough rich and flavorful. Prolific Pittsburgh restaurateur Richard DeShantz from the Richard DeShantz Restaurant Group (which includes Butcher & The Rye, Pork & Beans, Meat & Potatoes and Täkō) has a winner with Poulet Bleu, a French bistro that opened to much acclaim in Lawrenceville in early 2018. 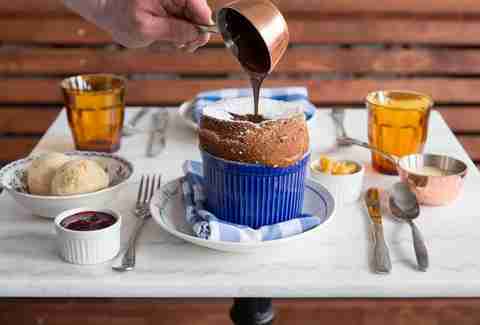 The restaurant offers classic French dishes, like a simple French onion soup elevated to new heights thanks to braised oxtail, cognac and Emmental, and a perfectly-prepared chocolate souffle (arriving with an assortment of accouterments) that’s a must for ending your meal on a high note. There are certain places in Pittsburgh that you go when you want to really impress someone -- and fl. 2 has joined those ranks. The restaurant, located on the second floor of the Fairmont Pittsburgh, replaced Habitat in late 2017 with a new concept, new menu, and completely redesigned space. The lovely, circular bar is the focal point of the restaurant, and provides an elegant backdrop for your evening, while the menu features updated American dishes with an emphasis on local sourcing. The bar’s cocktail program is divine, with inventive new takes on classics, and non-alcoholic ‘mocktail’ options that deserve a mention. As the sister restaurant of Smallman Galley, the uber-popular restaurant incubator in the Strip District, Federal Galley had a lot to live up to -- and it does, mightily. 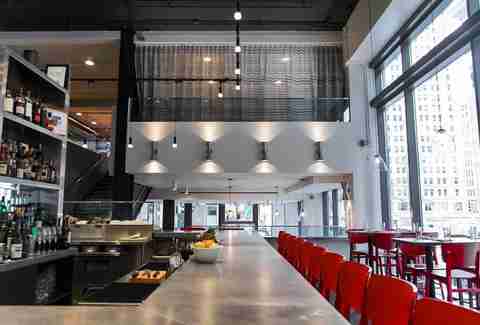 The four restaurant concepts in Federal Galley include Provision PGH, El Lugar, Michigan & Trumbull, and Supper, all bringing various styles of cuisine, from elevated New American fare to Detroit-style pizza. Pay special attention to the bar program, which includes a deep bench of Pittsburgh brews and spirits, along with a creative cocktail list that changes seasonally. Bitter Ends Garden & Luncheonette is a lunch counter that has some very unique sourcing: its very own small organic farm, located just outside of the city. Owner Becca Hegarty offers a small menu each day at the Bloomfield spot, with a selection of baked goods (whole-wheat donuts, pizzelles), soups (bean soup and chicken soup are regulars), and sandwiches, served on house-baked bread, including their popular Veggie Sammie. 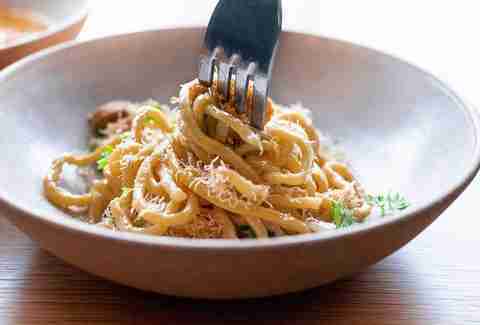 Bitter Ends Garden & Luncheonette is a simple, old-school concept that’s executed perfectly. The Twisted Frenchman has been a top-ranked restaurant in Pittsburgh since it opened in 2015, offering one of the area’s only tasting menus (which is available in four, eight, 14, or 21 courses). 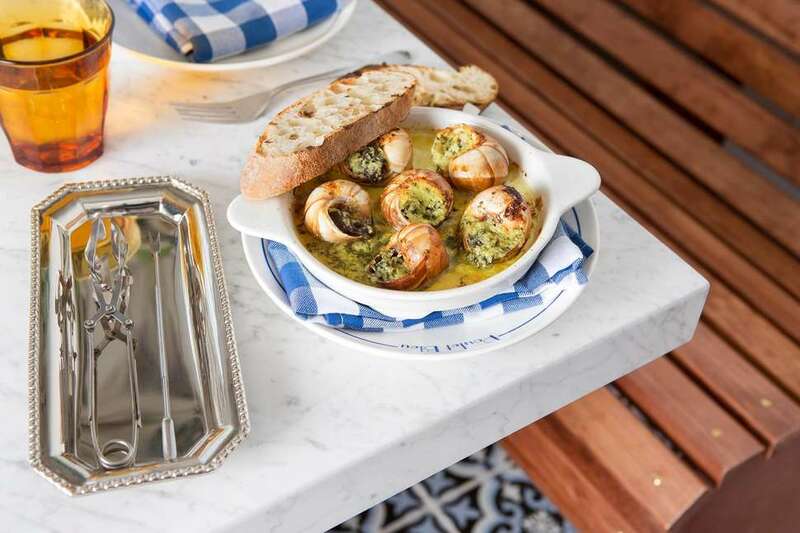 Chef/owner Andrew Garbarino’s also introduced a new upscale French bistro concept connected to the restaurant called La Riviera Bistro, which serves more casual French bistro dishes like Escargot Hot Pot, Steak Frites, and Parisienne Gnocchi. The Twisted Frenchman offers an extensive wine list as well, with selections available at all price points. 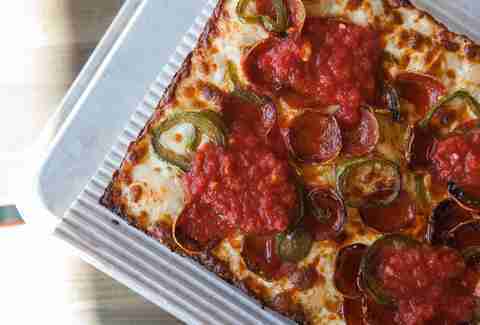 One of Pittsburgh’s most-anticipated restaurant openings of 2017 has lived up to the hype. As one of the highest-grossing restaurant Kickstarter campaigns ever, Kevin Sousa’s Superior Motors, a community-focused restaurant, located outside the city in Braddock, has garnered a lot of attention, both locally and nationally. The seasonal, locally sourced menu, made with produce primarily coming from nearby Braddock Farms changes regularly, and the dessert menu is a particular standout, with complex pairings and elevated flavor profiles. Dinette has been open since 2008, but the concept -- wood-fired pizzas topped with local, sustainable ingredients -- is as fresh as ever. At the East Liberty mainstay, crispy, wafer-thin dough is the foundation for light sauce and fresh ingredients on their famous pies, and the menu is rounded out with perfect starters to share with the table, from grilled shishito peppers to house-marinated olives. Dinette’s “all the same price” wine (available by the glass or by the bottle) adds to the restaurant’s easy charm and takes the pressure off the price-shy when ordering. One of the hidden gems of Pittsburgh’s dining scene, Spork is known for its extensive small-plates menu, which places a special emphasis on house-made pastas (the gnocchi is a standout) and charcuterie. While the kitchen crew regularly knocks elevated offerings like smoked brisket ravioli (featuring brisket smoked in their own BBQ smoker) out of the park, they also excel in the seemingly simplest dishes on the menu, such as a sourdough baguette that absolutely shouldn’t be missed. 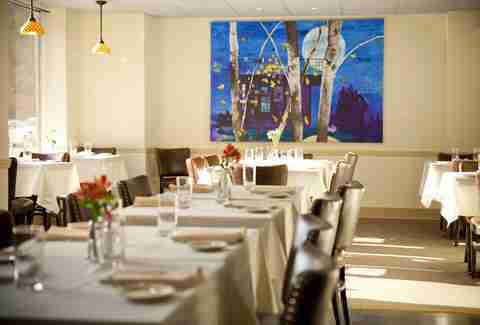 Casual, comfortable Apteka focuses on central and eastern European foods, such as the beloved Pittsburgh pierogi. But you won't find their pillowy dumplings stuffed with any kind of sausage or braised meat -- this Bloomfield spot calls itself a "vegetable restaurant," meaning that everything is vegan. Plans for Apteka grew from Pierogi Night, a popular monthly pop-up, eventually spawning a brick-and-mortar restaurant known for its seasonal creations, using the best summer vegetables (and fermented specialties) available. Even if you’re not a whiskey drinker, it’s impossible not to feel awed by Butcher and the Rye’s hulking eight-shelf bar with 600 different types of whiskey taking up all the space. That dedication to maintaining a museum-quality bar is emblematic of the restaurant’s careful attention to detail in its menu as well. Meats are the obvious fan favorite here, but the mac n' cheese deserves its own shout out -- the blend of taleggio, fontina, goat cheese, cheddar, and Parmesan is the city’s best. You’ll find spice, and lots of it, at this Squirrel Hill restaurant known for its traditional Sichuan cuisine. Turn directly to the ‘Traditional Chinese’ portion of the menu to see Chef Wei Zhu’s specialties, from shredded duck with baby ginger to pork blood tofu. Grab a crew to bring with you, because ordering too much from this family-style menu is inevitable. Cure was doing the whole "cool artisanal butchery" thing before it was ever a thing at all. This Lawrenceville favorite (and older sibling to Morcilla) is a carnivore’s dream. At Cure, the salumi board -- a mashup of all kinds of meats in various house-cured preparations -- is an absolute must. Save room for dessert, where local flavors (Paw Paw Cream Pie, anyone?) rule the day. Part café, part deli, and part restaurant, DiAnoia’s Eatery has a little something for everyone. Standouts include the deep sandwich selection, complete with house-made bread that’s been stuffed with Italian specialties like veal scallopini and sausage also made in-house. And don’t miss DiAnoia’s family-recipe three-meat meatballs, served piping hot and swimming in marinara. You smell Gaucho before you see it. 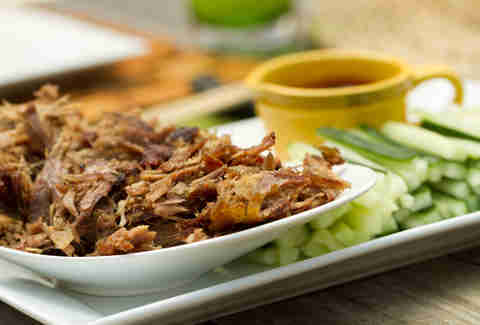 Its mouthwatering, smokey aroma wafts through the Strip District, luring you inside. 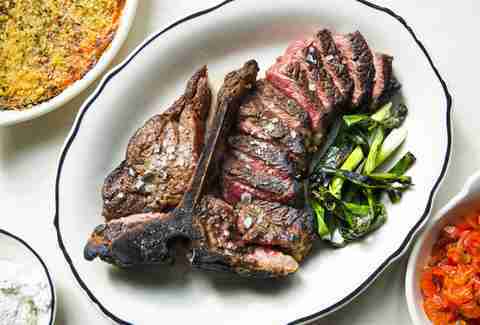 Gaucho’s secret is its wood-fire grilling process, which turns Pennsylvania wood into red hot coals that give steaks inimitable char and a mouthful of smokiness. 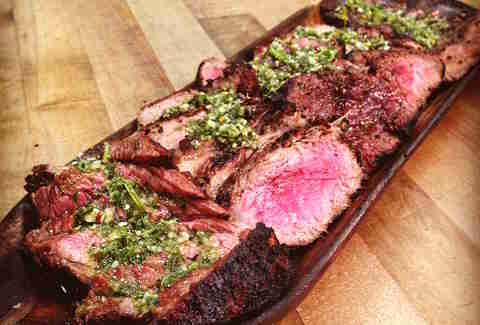 To fully experience its signature taste, bring your closest carnivores, and order the asado platter, which delivers five cuts of meat (flank, filet, sirloin, NY strip, and ribeye) garnished with chimichurri. Don’t be scared if you walk up and see a line snaking out the door -- it’s well worth the wait. 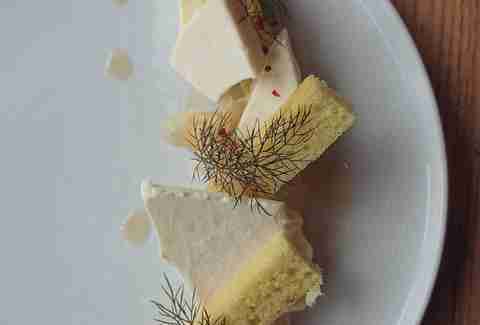 After more than a decade in business, Legume still sets the standard for fine dining in Pittsburgh. Led by chef/owner Trevett Hooper, the Oakland restaurant offers a seasonal menu with an emphasis on local meats and produce in a cozy, comfortable setting. House kimchi, fermented cabbage, preserved lemons, and pickled cherries are just a few of the surprises that you’ll find dotting the menu all year long, thanks to Legume’s deep in-house fermentation and pickling program. And if you’re looking for one of the best burgers in the city? 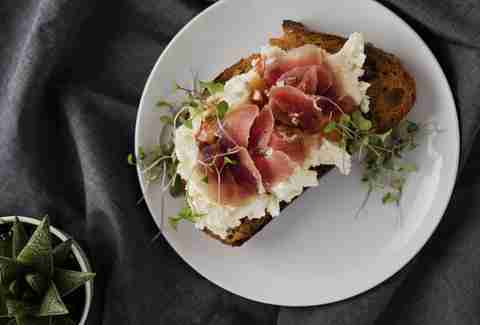 Head to the Butterjoint, the bar tucked inside Legume, and order up. 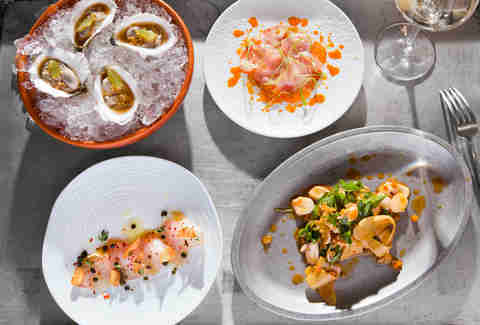 The second Pittsburgh restaurant by acclaimed chef Justin Severino, this Spanish place has become one of the city’s best and continually-exciting restaurants. Severino is a whole hog butcher, so naturally, meat takes center stage on Morcilla’s menu full of pintxos (the Basque version of tapas). Wines are offered in 2 oz pours, giving diners the chance to sample a different varietal perfectly paired with each course, but there’s also an entire drinks page dedicated to unmissable iterations of the Spanish gin-tonic. It may be tempting to skip right to dessert (yes, the popcorn panna cotta with caramel corn and salted caramel is THAT good), but start with dinner first. 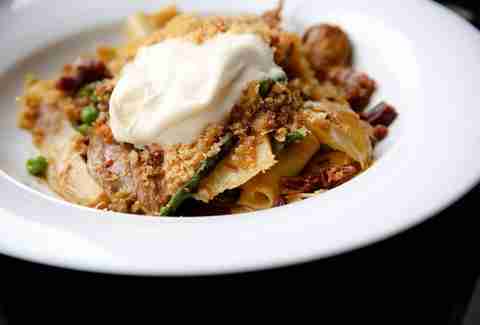 The tagliatelle, served with smoked pork shank, soffritto, an egg, and Parmesan is a bowlful of comfort food. On the way to the dining room, peek at the restored antique wood bar, covered with ornate carvings and woodwork, and order yourself a drink from the cocktail menu, which features libations infused with spice-cabinet finds like ginger, cardamom and rosemary. Station also serves lunch, with a menu of delectable small plates alongside a hearty selection of sandwiches (including a limited number of burgers each day). 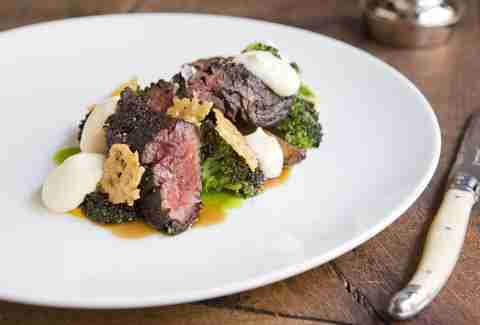 The Vandal is proof that gourmet dining doesn’t have to be necessarily fancy. You’ll find beautifully-plated dishes from chef Csilla Thackray served in a relaxed atmosphere at this stylish Lawrenceville hotspot. 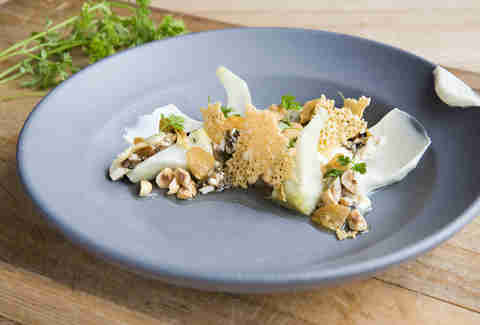 While specialties like the fried chicken sandwich and Vandal cheeseburger have been on the menu since its opening a few years ago (and are still worth an order), the restaurant has grown up a bit, offering more refined takes on dishes like a Smoked trout and potato latke starter, and Steak Carpaccio served with house-fermented sauerkraut. 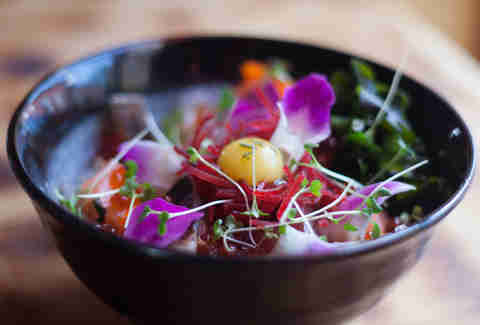 Umami is an izakaya (aka Japanese pub) serving Japanese street food dedicated to the fifth taste. Located above Round Corner Cantina, Umami has become a fixture for late-night eats, meaning you can get your margarita fix downstairs and your sushi and rotobaya fix upstairs until 2am. 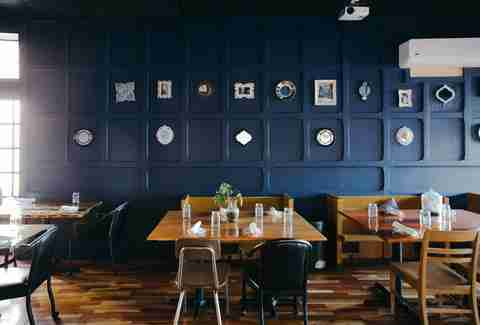 Housed inside a YMCA-turned-Ace Hotel, Whitfield is far more than a hotel restaurant. This bright tavern is a best known for its locally sourced beef and in-house butchery, but brunch is also a standout here. Whitfield is one of the few brunch spots in Pittsburgh that actually takes reservations, which is particularly helpful when you just can't wait for a blueberry buttermilk pancake with sweet lemon creme fraiche. 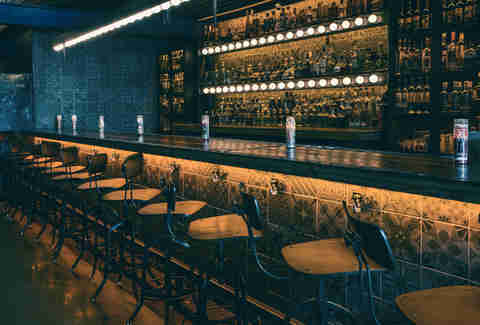 The bar program is also outstanding, with classic cocktails mingling on the menu with more inventive offerings. 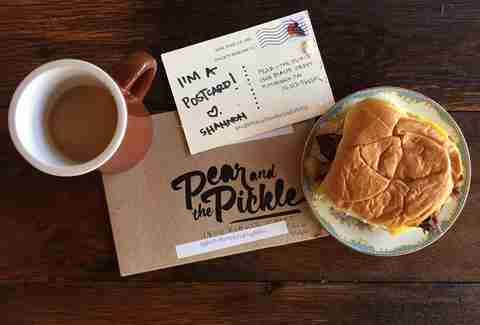 Tiny neighborhood cafés usually don’t find themselves on best restaurant lists, but Pear and the Pickle earns its place by serving one of the best breakfast sandwiches in town, available all day long. The simple bodega staple, made with bacon, egg, and cheese on a roll, is our favorite, but the café also offers a menu of two-handed sandwiches, homemade soups, and a rotating list of daily specials that have made the Troy Hill spot a must-visit. Scratch Food & Beverage, the hyper-local comfort food restaurant in Troy Hill, has been a neighborhood standout since it first opened its doors in 2015. The elevated gastropub has a small, ever-changing menu that features accessible dishes like Cacio e Pepe gnocchi, along with more ambitious fare, like a Wild Scottish Trout served with chickpea stew. 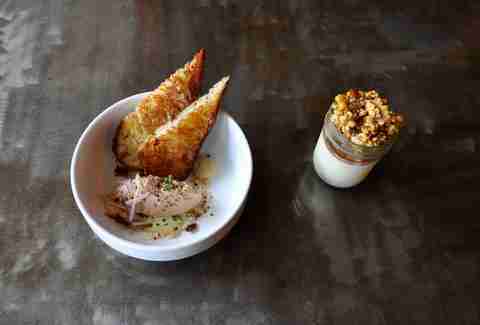 Acclaimed Pittsburgh chef Derek Stevens (who spent years running the show at Eleven Contemporary Kitchen) opened Union Standard in 2017, and we've yet to be disappointed. The beautiful, modern space -- located in the historic Union Trust Building downtown -- is the perfect location for a drink and dinner while people-watching, and the contemporary American menu features dishes from the wood-fired rotisserie and grill, and a raw bar as well. Though it may be one of the toughest restaurants in Pittsburgh to get a reservation at, it’s well worth the wait: Richard DeShantz’s Täkō is Pittsburgh’s go-to for elevated tacos with a global bent. The regular menu includes traditional favorites like carnitas tacos (served simply with fresh guacamole, salsa verde, and chicharrones), along with Täkō's famous Korean tacos, made with wagyu short rib, peanuts, fermented cucumber, and Napa cabbage, and topped with cilantro. And whatever you do, don’t forget to grab a cocktail -- with one of the best bar programs in the entire city, it would be a sin to not imbibe.